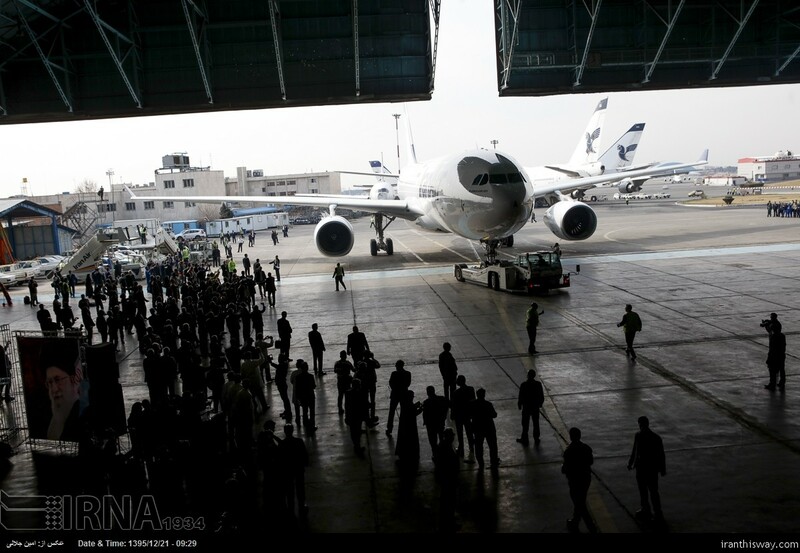 Second new Airbus touches down in Tehran - IRAN This Way: Become familiar with Iranian lifestyle! 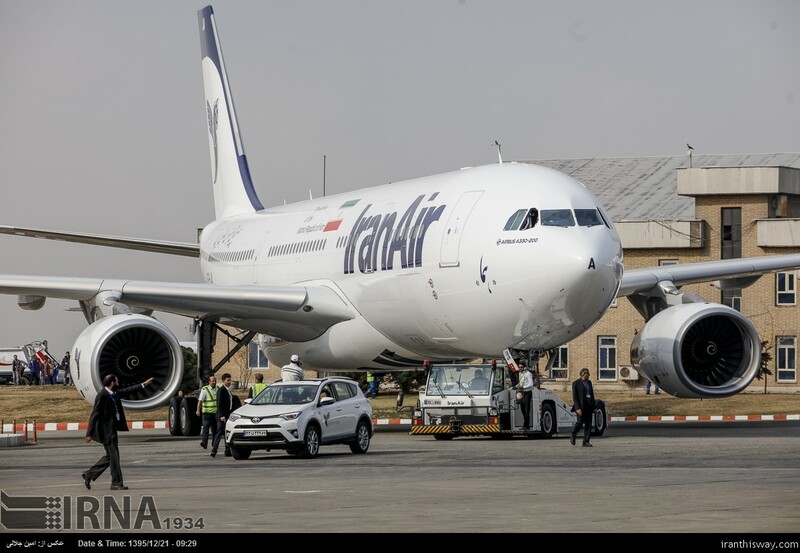 An Airbus A330 aircraft arrived in Tehran on Saturday, the second of 200 Western-built passenger jets ordered by the national carrier Iran Air following the lifting of sanctions. 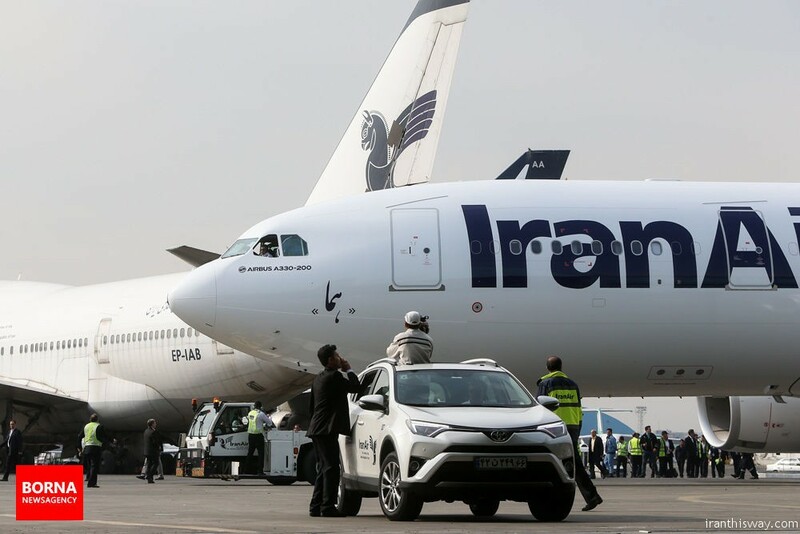 The long-haul aircraft, with Iran Air Chairman Farhad Parvaresh and other officials onboard, took off from the French city of Toulouse on Saturday and landed at Tehran’s Mehrabad International Airport five hours and 30 minutes later, IRNA reported. The A330, which has 32 business class and 206 economy class seats, is suitable for long-distance flights and is expected to be used initially on European routes and on flights to Beijing and Kuala Lumpur. The jetliner joins a smaller A321, which flew to Tehran on January 11. “We are working very closely with Airbus, and we are both very keen to stay on schedule and committed to the contract that we made together,” Parvaresh told Reuters on Friday. Iran had not directly purchased a Western-built plane in nearly 40 years, the one exception being the sale of an Airbus to replace one shot down by the USS Vincennes in 1988. Iran ordered 100 aircraft from European plane maker Airbus in an 18-billion-dollar deal signed last year, which includes 46 aircraft from the A320 family, 38 from the A330 family, and 16 of the A350 XWB. In the same year, Iran inked another agreement worth 16.6 billion dollars to buy 80 new planes from US aviation company, Boeing, comprising 50 737 jets and 30 777s. Iran Air is also expected to finalize an accord to purchase 20 turboprops with European manufacturer ATR, which is jointly owned by Airbus and Italy’s Leonardo Finmeccanica. The agreements came after the restrictions imposed on Iran’s aviation industry were lifted following a nuclear agreement known as the Joint Comprehensive Plan of Action (JCPOA). The JCPOA was negotiated between Iran and the P5+1 countries – the United States, Britain, France, China and Russia, plus Germany. It was finalized on July 14, 2015 and started being implemented on January 16, 2016.